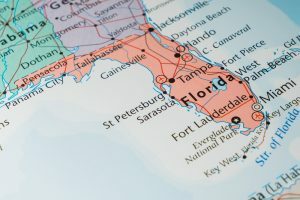 EMT Programs in Florida will prepare you to provide life saving techniques as well as emergency illness and injury treatment in patients until they can arrive at the hospital. There are three different levels of EMT training available in the state of Florida. You can can train to be an EMT-Basic, EMT-Advanced or Paramedic. You must complete and successfully pass a state approved program to be eligible sit for the licensing exam. There are certain criteria you must meet in order to be eligible to train as an EMT at any level. You will need to be a high school graduate or to hold your GED and to be 18 years old or higher. It is necessary to submit to both a drug test and criminal background check. You will need to hold a valid state driver’s license. You will need to be up to date on all vaccines including Tetanus. You will also be required to have a flu shot and to have a negative TB test. Some EMT courses (especially those to be Paramedics) might require you to take English and Math competency exams. It is necessary to have an active and valid CPR certification throughout the duration of your training. Before you can move to more advanced EMT levels, you will need to have finished your EMT-Basic training. EMT training programs will vary on the level of EMT you are training for as well as the program you are going to enter. Some programs will be a few months while others could last as long as 2 years. The two year length are usually for Associate Degree level studies. All programs will include classroom instruction as well as hands on clinical/field experience. This experience might take place on Emergency Service calls and in hospital and other medical care facilities. Let’s look at a couple schools offering training for EMTs. There are various EMT and Paramedic training programs that you can locate throughout Florida. The costs and length will vary depending on the training track and school you enter. The College of Central Florida -offers Emergency Medical Services Programs accredited by the Committee on Accreditation of Education Programs for Emergency Medical Services Professions (CoAEMSP). Students can later apply any EMT and paramedic courses they successfully complete at the school toward a 2-year degree in Emergency Medical Services. Classes are offered in three different locations: Levy, Citrus and Marion Counties. The school offers a flexible class schedule—with both day and night classes—for the convenience of students who already work in the emergency medical services field. The EMT Program is a 16-week program that students complete in one semester. The curriculum combines classroom instruction, laboratory instruction, and clinical experience in a hospital and the field. Clinical days involve 12-hour shifts. Successfully completing the program meets the certification requirements for the state of Florida and makes student eligible to take the National Certification Examination for Emergency Medical Technicians. The Paramedic Program is a 12-month program that requires completion of 42 credit hours. Like the EMT Program, the Paramedic Program consists of labs, classroom instruction, and 12-hour clinical shifts. Lectures are scheduled for two days each week. Prerequisites for the Paramedic Program include current Florida EMT certification, criminal background check, copy of current immunizations, and medical history on file. Students accepted into the program must purchase their own health insurance. Additional costs include textbooks, lab fees, uniforms, instruments, substance abuse screening, and background check. The required liability insurance is included in the tuition fee. College Type: This is a public state college. Miami Dade College, Offers training options for EMTs. EMT-Basic Certificate Program-requires students to complete 11 credit hours, usually in one semester. Prerequisites for the program include college prep classes in high school or some college coursework, training as a First Responder, criminal background check, and completion of the Miami Dade College Student Health Record. Depending on a student’s previous training and coursework, the school requires some students to take the Postsecondary Education Readiness Test (P.E.R.T. ); other students are exempt. Coursework includes classroom lecture, labs, field experience in emergency medical services, medical management, trauma management, and CPR. Students who earn certification through the state at the basic level may then go on to complete coursework at the paramedic level. The Paramedic Program requires that students successfully earn 42 credit hours, which generally takes 4 semesters to complete. During the first and second semesters, student schedule classes, labs, and a clinical for a total of 15 credits earned each of those semesters. The third semester involves a field internship for 8 credits. The fourth semester is for 4 credit hours and for human anatomy and physiology lecture and lab. College Type: This is a 4 year public college. EMT Technical Certificate takes one semester to complete. Students can enroll in the he program for 16 weeks in the fall and spring semesters, or for 12 weeks during the summer. Applicants must pass a criminal background check and substance abuse screening. Additional prerequisites include proof of current CPR certification and required immunizations. EMTs provide the first level of emergency medical services care. Students who successfully complete the EMT Technical Certificate Program must be certified by the state of Florida to perform basic medical emergency procedures. Entry into the program is based on open enrollment while there are seats available. Students must earn a minimum grade of “C” in their courses. Florida also requires EMT certification before an individual can move on to train as a paramedic. Paramedic Technology Certificate Program. This program has a limited amount of space available. It takes about 3 semesters to finish. Students seeking admission to the Paramedic Certificate Program must hold a current Florida EMT certificate. Individuals who complete both the EMT and Paramedic Certificate programs can apply to earn an A.S. degree in Emergency Medical Services. College Type: This is a 4 year public college in the large city of Orlando. Your exact curriculum will depend on the program you take and level of EMT for which you are training. In each of these training programs you will be taught to provide care for individuals who are sick or injured until they arrive at the hospital or medical center. The training program will teach you about all levels of care you are can provider under the legalities and scope of practice of your EMT or Paramedic level. You can find various ways to help you cover the cost of EMT training. You can even get free EMT Training.If you are taking a credit based program, you may qualify for state and federal grants as well as work study and student loan programs. 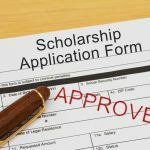 You can also search for scholarships that are offered through your college, organizations, employers and databases. In some cases you may receive financial assistance through an employer or as a result of your time in the military.